【Aesthetic】 Made of aluminum alloy with excellent painting. light yet sturdy ,feels smooth on hand. 【No buzz】 Perfectly clamp the guitar neck and stay in tones,playing without buzz or unwanted string noise. 【No scratches】 With well padded silicon jaws, no scratch or damage to ukulele neck. 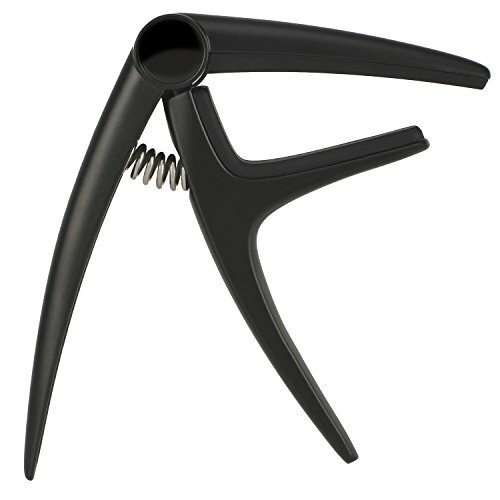 【Portable】 This capo is Light and small in size,very eaisy to save in your gig bage.